So we are officially back in KC! They just connected my google fiber and I knew my first priority was to write a blog post. I am actually sitting in my dining room eating one of these runzas right now! I read about runzas in The New Midwestern Table and I really wanted to try them. And what better occasion than my return to the midwest! The dish is of German origin – they call them bieroks and they are traditionally made with cabbage. The runza recipe in the book is made with sautéed spinach. So I have made here an All-American Runza, meat and potatoes. I might try adding some green stuff in the future, but we won’t call it All-American. The dough is really easy to make and if it is properly chilled, it will roll out super easily. I refrigerated mine overnight so keep this needed refridgeration time in mind when you decide to make these. I think you could probably add any vegetables to this and they will be great. 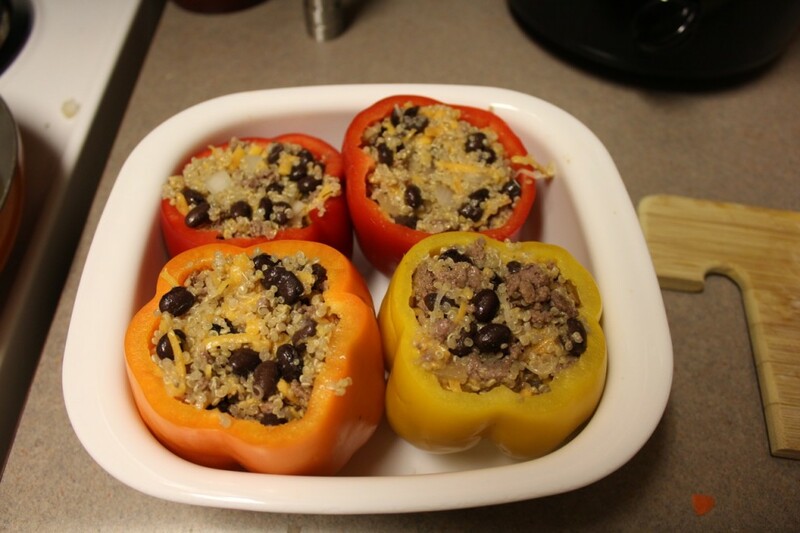 It is an excellent recipe to use up ingredients you have laying around. I have some fully baked runzas in the freezer as well and we will see how those reheat. Ragu is kind of a blanket term for Italian sauces with meat that are typically served over pasta… I cannot really call this a bolognese because of the way the meat is prepared. But Bolognese and Ragu alike originate from the Emilia-Romagna region of Italy which is heavily influenced by French cuisine. 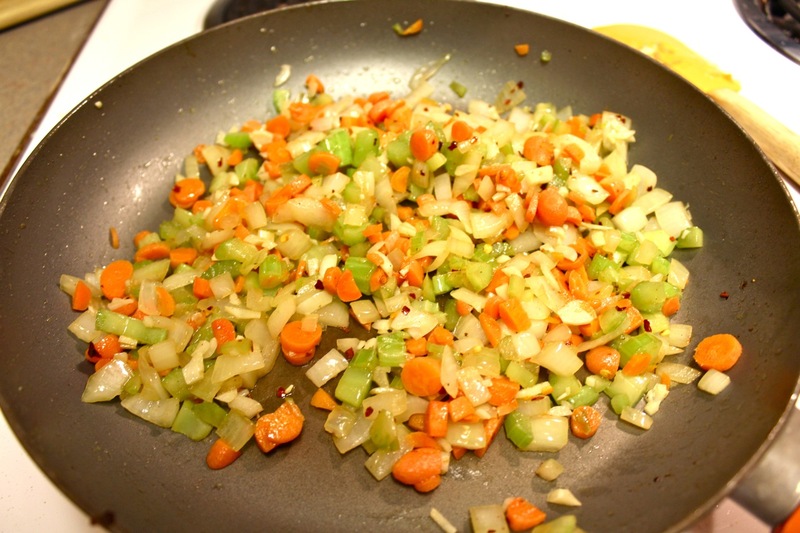 Traditional Bolognese (from the capital of Emilia-Romagna, Bologna) contains a finely chopped or ground meat along with a soffritto – carrots, celery, onion. It also contains some sort of fatty pork meat, like the pancetta in the recipe below. And of course it has tomatoes in some form and red wine. I have been doing a lot of research lately, reading some new books including Essentials of Italian Cooking by Marcella Hazan. I am really dedicating myself to learning the regional cuisines and wines of Italy. It is just one million times more interesting than reading First Aid for the Emergency Medicine Boards. Those people cannot compete with the expertise of Marcella Hazan. I just love her voice in this book. I appreciate that she is telling us DO NOT cook this way because it is not good enough. It makes me feel like maybe my food blog is not as harsh as I think sometimes. 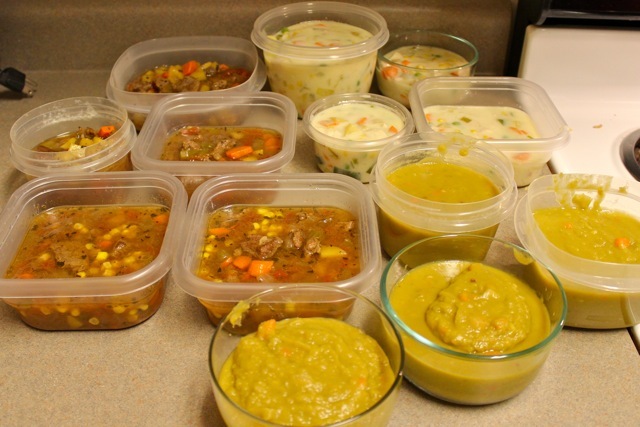 I have also been doing a lot of slow cooker research, it is my new fascination. 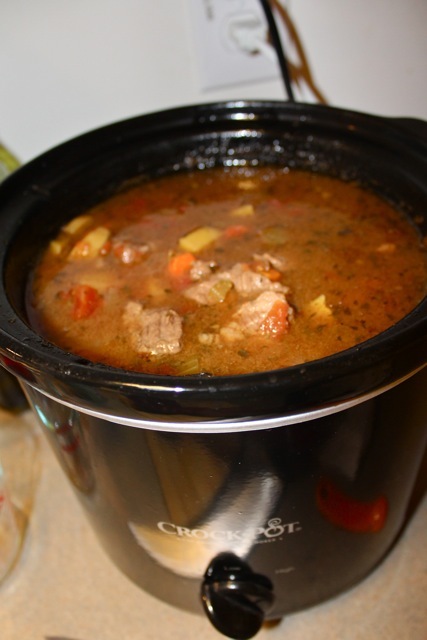 I feel like there are so many awful crock pot recipes on the internet! (is that too harsh?) You cannot just throw all the ingredients in and expect to develop depth of flavor. And I think Marcella would agree with me. 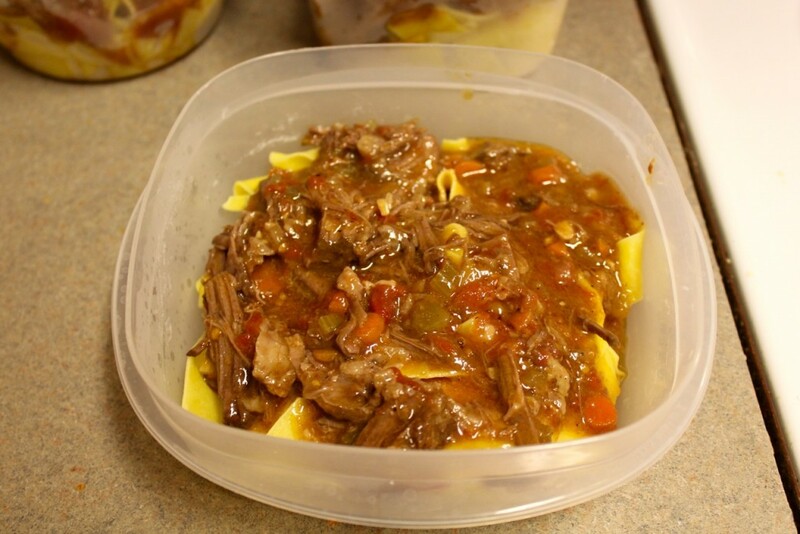 So I have created this fabulous Ragu with a slow cooker and I tried to make it more authentic Italian, thus it does require a few steps on the stove. It is worth it though! You cannot make a real italian sauce without the soffritto, and the soffritto must be sauteed on the stove. The meat must also be seared to lock in flavor. 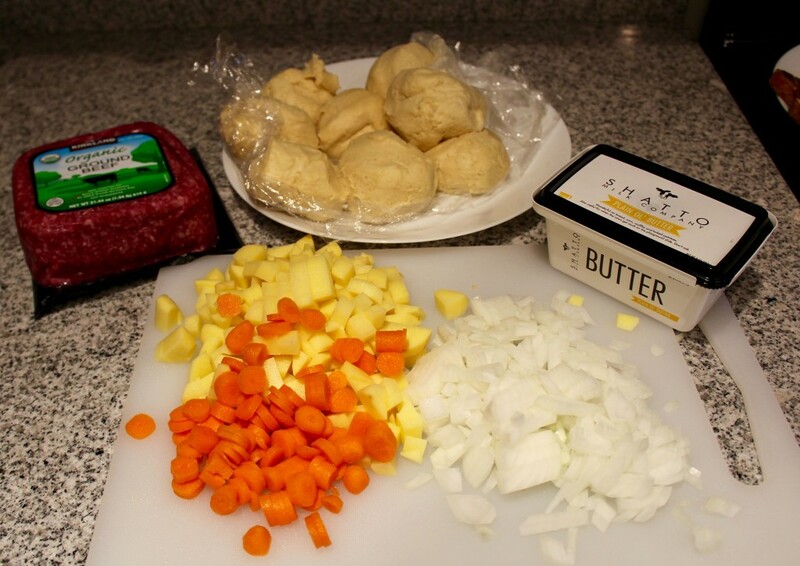 This slow process will develop your rich flavors and tender beef but you will have to thicken the sauce on the stove. If you have one of those fancy slow cookers where the bowl goes on the stove, then this is completely no big deal. But if not you will have to dirty one skillet. If you don’t yet own one and are thinking of purchasing a slow cooker, this would probably be perfect. 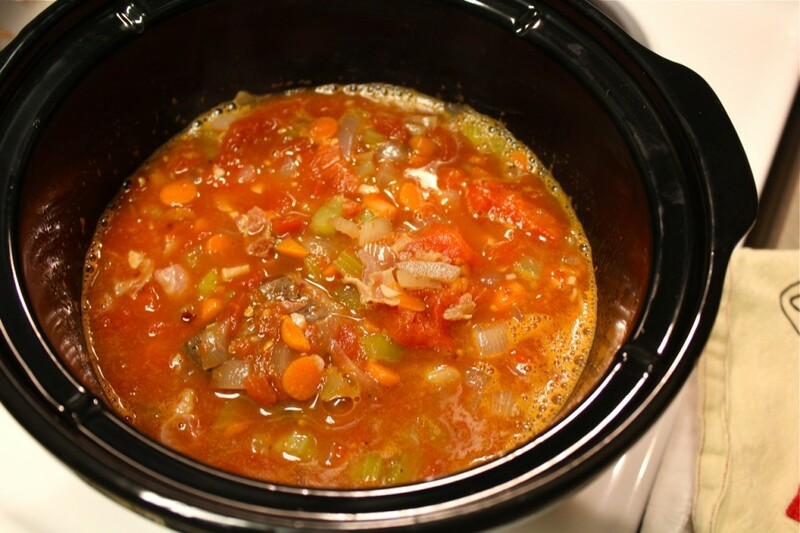 You may alternatively turn the slow cooker up to high and remove the lid at the end of cooking, depending on the heat, this may reduce your sauce sufficiently. Serve this with tagliatelle, it will be distinctly traditional. If you cannot find tagliatelle, try to find a noodle that is sort of wide and flat. And Marcella Hazan would not accept anything less than legit italian canned whole plum tomatoes, so please try and find them. This recipe produces something incredible, so do not skimp on the quality of the tomatoes. However there are some excellent and reasonably priced Italian wines out there. If you are looking for wine to add to your sauce and to drink with your dinner, I would recommend Cielo pinot noir. Cielo is an excellent budget wine that you should be able to find for around seven dollars. It’s a very fruity, jammy pinot noir that could not possibly be more drinkable. So be careful… because you may finish the bottle before your sauce is done reducing on the stove. And then you may be unable to capture the perfect picture of your final product. In a large skillet, sauté pancetta over medium heat. 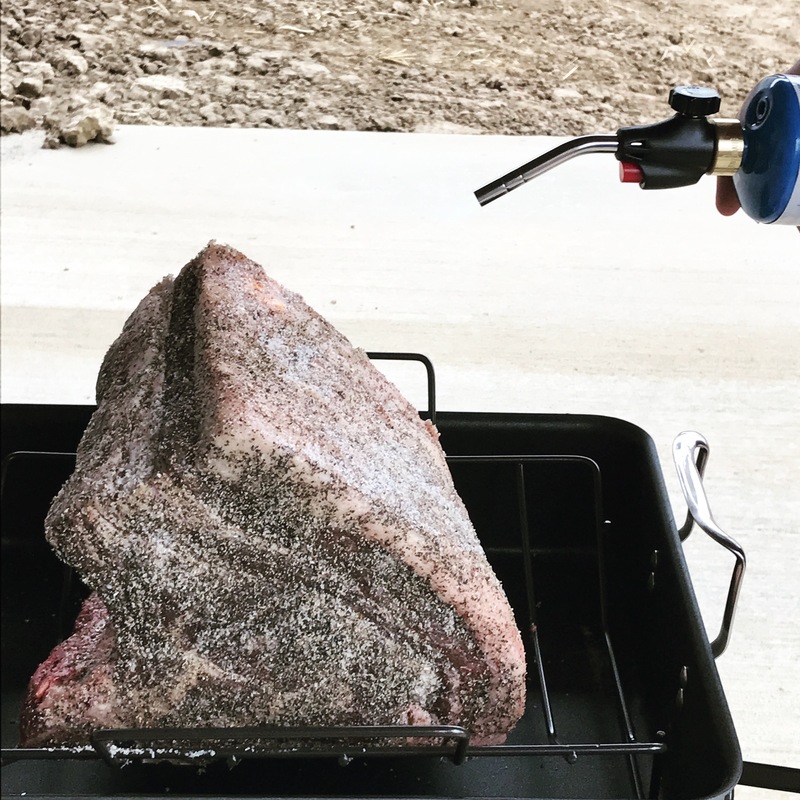 Season the roast generously with salt and freshly ground black pepper. When the pancetta is slightly crispy and has rendered it’s fat, remove pancetta with a slotted spoon to the bowl of a slow cooker. Sear chuck roast in the fat from the pancetta over medium-high. 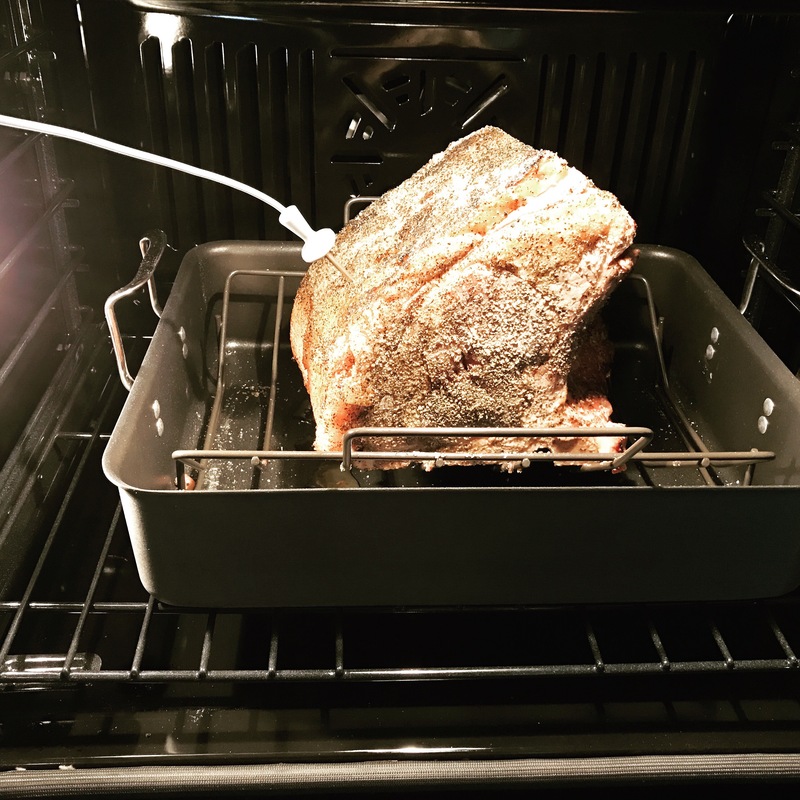 (You may want to cut the roast in half depending on it’s shape.) Sear all sides of the meat until browned, ~4 min per side. 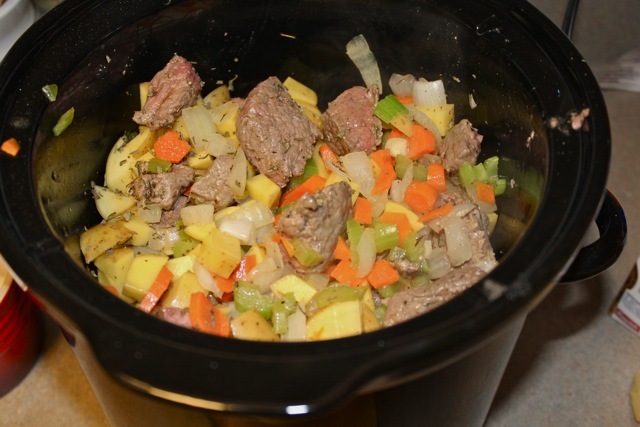 Remove the chuck roast to the bowl of a slow cooker. Add olive oil to pan, swirl to coat. 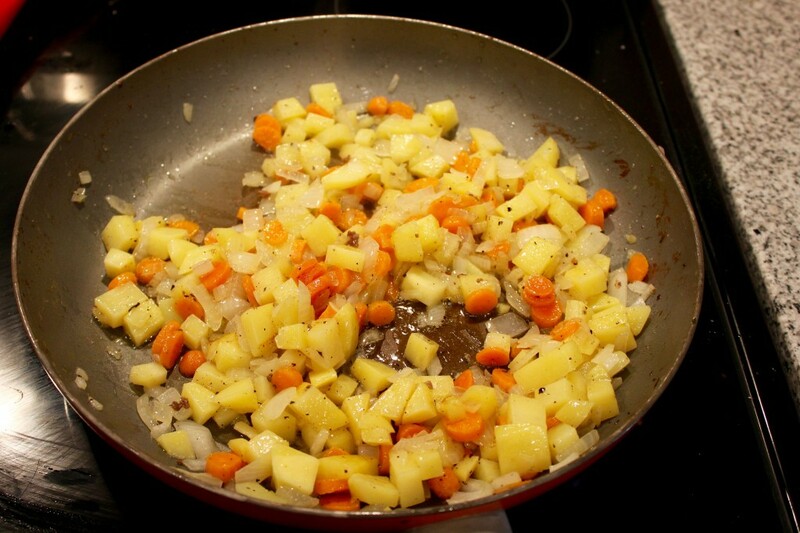 Sauté the carrots, celery, and onion over medium heat for 7 minutes, until the onion is slightly translucent. Add the garlic and crushed red pepper, cook for 2 minutes until fragrant. Deglaze the skillet with 1/2 cup red wine. Cook for 5 minutes until it is mostly evaporated. Stir in the crushed tomatoes, chicken stock, and bay leaf. Bring to a boil. Carefully pour this tomato mixture into the bowl with the chuck roast and pancetta. Cover and cook on low for 5 hours. The beef should be easily shredded with a fork. 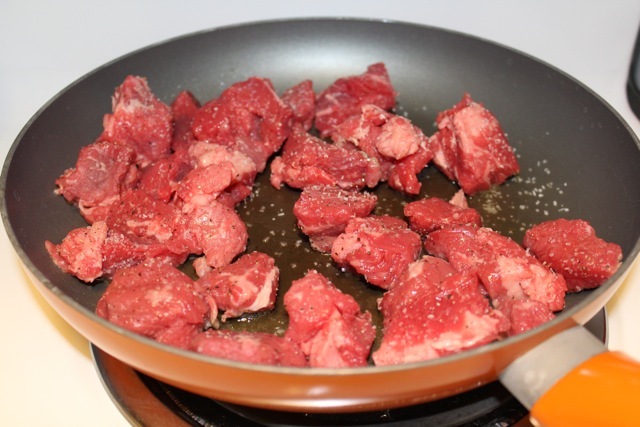 Remove beef to a plate. Pour all the leftover liquid into the skillet. Bring to a boil over medium heat. Cook for 10-15 minutes until reduced and thickened (I also added a little flour to mine). Shred the beef finely and mix in with the tomato sauce. Serve over noodles.